New daily persistent headaches have qualities of both migraines and tension headaches. Your child may feel squeezing on both sides of their head, and they may have nausea. They may be sensitive to light and sound. While the intensity of pain may increase and decrease each day, the pain will be present every day, possibly lasting for months. In some complex cases, your child’s pediatrician may recommend brain imaging tests. Or your child may be referred to a neurologist for more advanced diagnosis and care. For mild or infrequent headaches, over-the-counter medicines may provide relief and are generally safe to use. 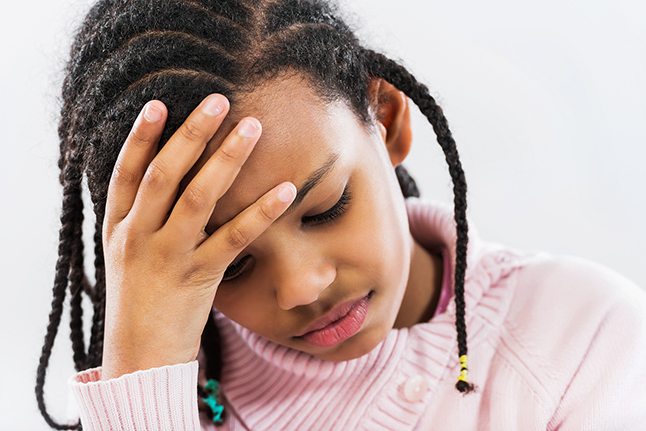 If your child experiences frequent headaches, you can find a pediatrician or make an appointment by calling 800-UCLA-MD1.